Sensei Steve is great! I signed up both my kids ages 5 and 9. Sensei has helped us stay active, learn to focus and listen. The kids have fun here. He makes sure every kid gets noticed, every kid is called out by name, and every kids gets the proper attention to learn the moves correctly and push to their max. I've trained with Sensei Steve for 2 years now. He is a great guy and teacher. Great with kids, women, everyone! If you're looking for a place to learn martials arts, check this dojo out. This style will teach you many different techniques whether stand up to ground game, street attacks to contact sport. 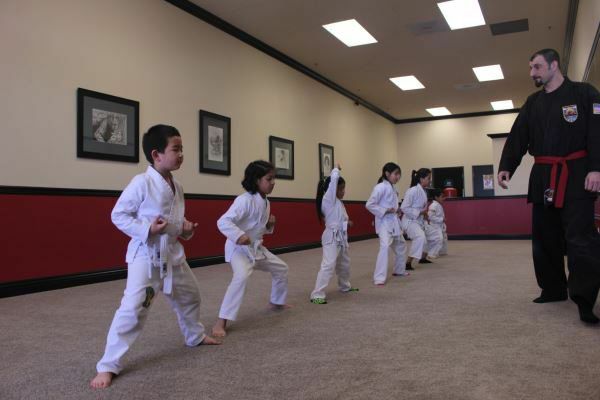 If you just want to get in shape, or you want your kid to defend himself, go see Sensei Steve! I've been training with USSD for 10 years now, and Sensei Steve is one of the best! I started my 5 year-old kindergartener there. Sansei Steve is great with the kids. He encourages discipline, focus, teaches technique while letting the kids gave fun. It's a great environment. Our 5 year old twins go there and Steve & the team are awesome with them. We would highly recommend it. Home Children’s Program Teen Program Adult Program Class Schedule About Our Studio What Is Kempo?